Every summer, we strive for new and exciting service projects to help instill a servant’s heart in a group of teens that like keepin’ it fresh, too. One of the services we have such success with is a Police Car Wash.
We usually do this as part of our VBS: After Hours, a program we run for the teen volunteers of our regular VBS. 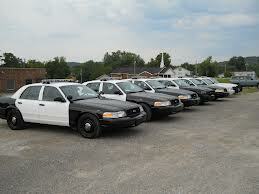 We contact the local police department and invite them to have their church to have their cruisers washed. It’s a great way to get the teens serving the community, AND having a ton of fun with a car wash, AND pay back the men and women who serve our community and keep us safe. It’s a fun way to build relationships in the community and connect with a group of individuals that don’t always get a “thank you”. Plus, it helps the teens to develop relationships with police officers outside of the initial fear of getting pulled over, which is a great fringe benefit. You can also do this with the Fire Department, though washing those big trucks in a big job, so make sure you are prepared…and make sure you let the church know, so all the younger kids can come see the fire engines!